One of the highly-anticipated kick from Jordan Brand will finally hit the market, creating huge buzz in the sneaker world. Jordan Brand will release the new Air Jordan 4 Retro “Bred” or the Black/Cement Grey – Fire Red colorway of the impressive retro kick today – November 23. The sneaker sports a black upper part with cement grey and white touches. 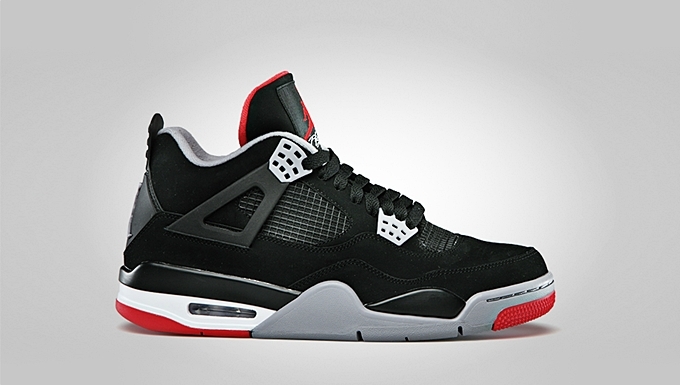 The Fire Red accents appear on the outsole and Jumpman branding. With the level of anticipation for this kick, expect this one to be one of the hottest items in the sneaker market so make sure to get your own pair immediately!